Propane and Butane are the two flammable gaseous obtained from oil wells, they also obtained from the petroleum refining process. This two gases compressed and cooled to form liquid known “liquid petroleum gas”. They are widely used as fuel for cooking, heating. Also used in IC engine, buses, and cars and referred to as autogas. Clean LPG is odorless gas, for safety concern and in order to detect the leaks, powerful odorant like ethanethiol is added to LPG. LPG possesses good anti-knocking characteristics. LPG will mix with air at any temperature. LPG is nontoxic and non-corrosive. There is no chance of crankcase dilution since fuel is in the vapour form. In multi-cylinder engine, a uniform air-fuel mixture can be delivered to the cylinder. LPG burns cleanly than petrol. 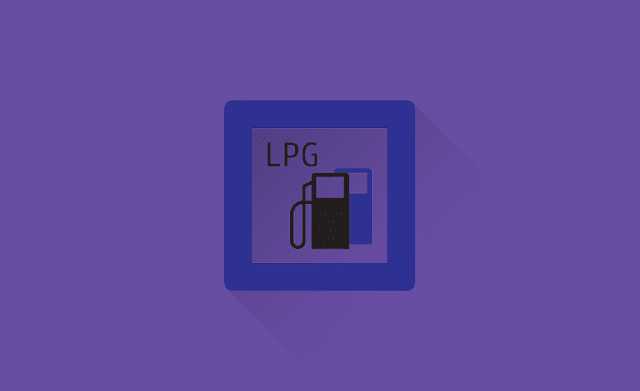 Low emission - LPG contain less content of carbon than petrol fuel, so it produces less carbon monoxide pollution. If LPG leaks into the crankcase, it does not generate black carbon on the wall, and do not wash away the lubricating layer. Increase the life of spark plug since there is no carbon deposit on electrodes of the spark plug. High octane value leads to the high thermal efficiency of engine. Less wear on engine and longer life for engine when compared to gasoline. Less noise and vibration when compared to a diesel engine. LPG require special fuel feed system. The storage tank is heavy. The LPG is heavier than air, so it gets collected at the lowest spot in the case of leakage, it causes suffocation. It is more hazardous in the case fire. Proper ventilation and detection system is required for indoor storage. Low vapour pressure may cause the engine starting trouble at low temperature. Since LPG is odourless an odorant should be added to it for quick detection of leakage.